Coperion K-Tron supplies a wide range of positive displacement (PD) continuous vacuum, pressure, and vacuum/pressure system blower packages for conveying bulk materials. Packages are available for 2- to 10-in. conveying systems. Each blower package includes silencer and is supported on a heavy-duty base allowing easy access for cleaning. Built-in braces permit the entire package to be moved into position with a forklift during installation or maintenance. A heavy-duty drive guard totally encloses the drive to protect plant personnel. An expanded metal front allows the operator to visually inspect the belts without removing the guard and lets the heat from the belts dissipate for longer belt life. Routine maintenance is simplified by the drive guard's easy access design. 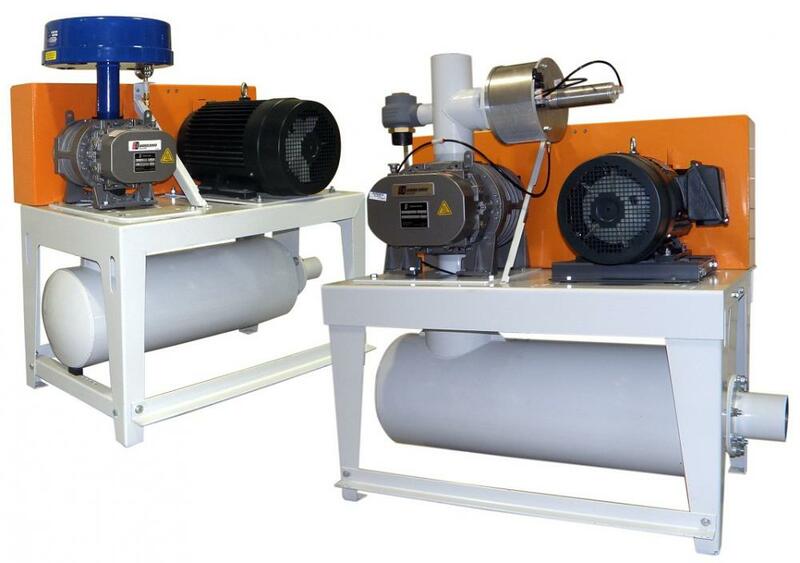 Every Coperion K-Tron blower package incorporates an industry-proven positive displacement blower. The blower is dynamically balanced, and isolation pads are positioned between the blower and the base to reduce vibration and noise. The motor meets all NEMA specifications. Like the blower, it is mounted on isolation pads to reduce vibration.